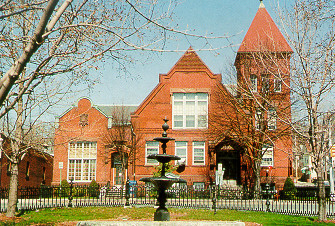 The Library has many local history items other than books, including menus, advertisements, pictures, and files about local people, businesses, cemeteries and other subjects. If you are interested in seeing any of these items, please come in to the library to see them or call us for more information. Click on the link below to look at a spreadsheet showing the files that we have indexed so far, and check back often to see what else we have indexed. We have also recently found a handwritten document titled “Ware 1913” with a lot of information about town businesses, institutions, organizations and important people of the time. Click on the link below to see a transcript of this document.